Generalized anxiety disorder (GAD) is a debilitating disorder that has often proved difficult to treat. Advances in conceptualization, diagnosis, and treatment now allow an empirically supported approach to its diagnosis and treatment. After briefly outlining theoretical models, this clear and concise book presents an integrative, up-to-date treatment protocol for GAD. Suitable both for practitioners and for students, it guides readers through assessment and differential diagnosis, etiological models such as cognitive avoidance, positive beliefs about worry, and intolerance of uncertainty, and treatment techniques. The therapeutic approach described here integrates techniques from CBT, mindfulness- and acceptance-based therapy, as well as motivational interviewing. This practical volume is rounded off by case vignettes, handouts, questionnaires, and other useful tools. "This excellent standalone reference and guide to GAD... describes the components of an empirically supported psychological therapy for GAD and integrates components of cognitive techniques and exposure techniques, aswell as newer techniques of mindfulness and acceptance practices. "The books in this series are written for a wide range of mental health professionals, but psychologists and psychiatrists will benefit the most from the wealth of knowledge in this volume. A wonderful feature of this series is the usefulness across the clinical, research, and academic domains. "Chapter 4 is really the standout, hitting upon every major treatment modality such as CBT, psychoeducation, relaxation, combination treatments, and medications, as well as age differences." "[W]ritten in a concise manner [does] a good job of contextualizing the material covered as a functional guidebook. The book accomplishes the goal of being easy-to-read and offers practical interventions when working with individuals who have GAD and the typical comorbidities." "Overall, Generalized Anxiety Disorder is a good introduction to a complex field and can provide a helpful compass point for therapists seeking to work with GAD clients." 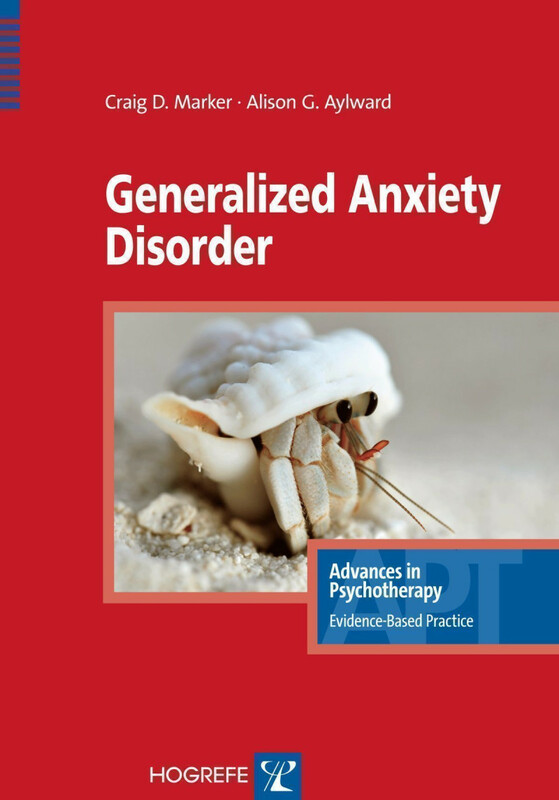 "Many therapists find it difficult and even demoralizing to assess and treat clients with generalized anxiety disorder. In this accessible and engaging book, Marker and Aylward break down the key elements of a successful diagnosis and treatment, so that novice and experienced professionals alike will be better prepared to take on the challenge of helping clients manage their seemingly uncontrollable worry. Guided by the latest research, this is an outstanding resource, filled with practical advice that therapists can immediately apply." "This is a key manual for any clinician working with anxious patients. The concise format and up-to-date information also make it an outstanding training resource. The authors explain the diagnosis and complexities of GAD, and illustrate assessment and cognitive-behavioral treatment with great clarity and in a hands-on way that is sure to facilitate positive outcomes."